Combining expertise from across the consortium, the program will see the creation of a product pipeline for the scale up to volume production of Applications of Functionalized Micro & Nano Materials, also known as the AFM2 Product Pipeline. This is designed to speed up the process required to take products from proof of concept into volume and profitable products. With a focus on market pull, the AFM2 Product Pipeline will turn a demand driven idea into a bench prototype followed by pilot production for market and customer evaluation. 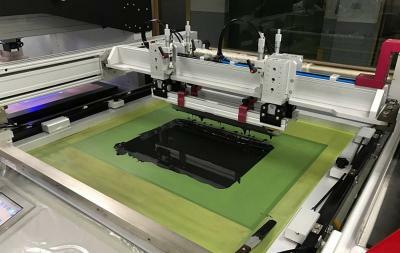 Haydale, in collaboration with WCPC, has developed and refined a range of proprietary printing inks utilizing its functionalized graphene for the development of advanced wearable technology to be embedded into a range of apparel for elite athletes in training for the 2020 Olympic and Paralympic Games. The functionalized inks fulfill a range of functions in sensing and conditioning, combined with ease of printing for use in the rapidly growing wearable technology market. “The close relationship with our colleagues at WCPC is now bearing fruit with a range of robust, stable, high performing functionalized inks and coatings emerging from extensive development work and finding applications in wearable technology, printed sensors and thermal management,” commented Keith Broadbent, Haydale COO. “This is a really exciting project which will take innovative concepts manufactured by printing of advanced functional materials and rapidly transitioned them from proof of concept into volume, profitable products. It will drive more applications for inks containing the unique functionalized nano carbons created by the Haydale Plasma Functionalization process,” said Professor Tim Claypole MBE, Director, the Welsh Center for Printing and Coating, Swansea University.